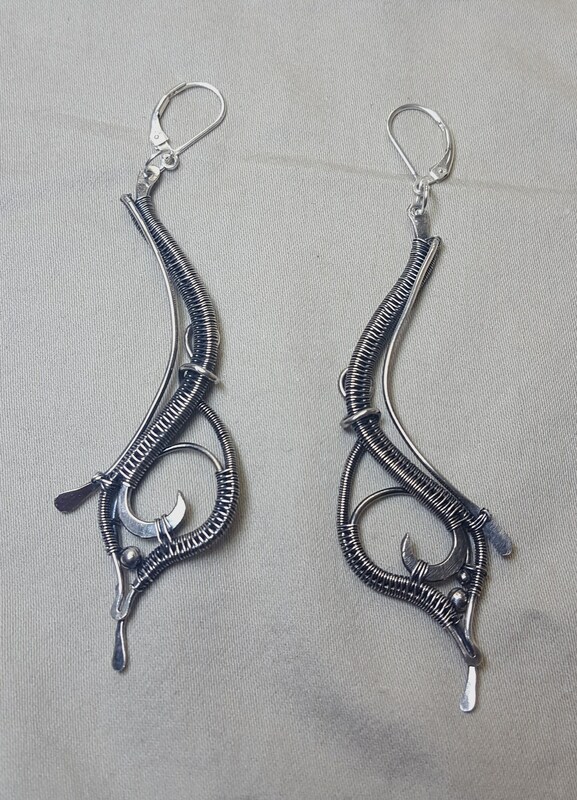 Fine Silver, Oxidized, Tendril Earrings. 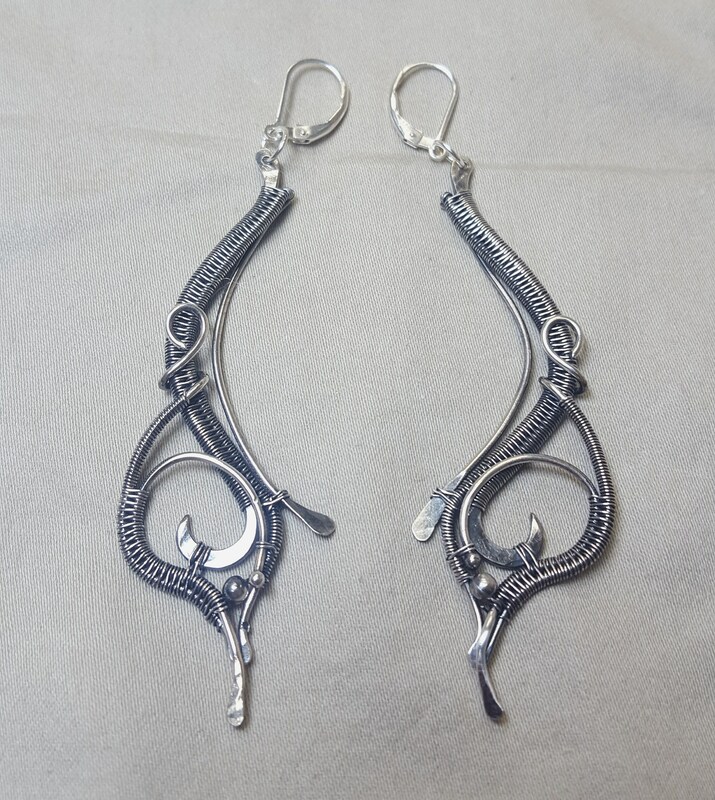 These Earrings are Wrapped in Fine Silver with Sterling Silver Beads, and have lever back Sterling Silver ear wires. 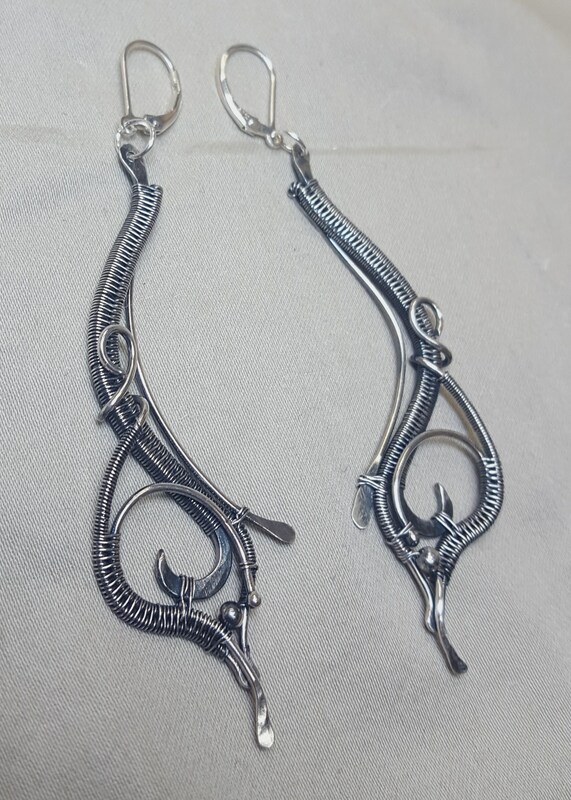 This is the Tendril Design from Sarah Thomson.